Any process Industry where powders or granular materials are mixed with a liquid the interfacial contact between the primary flow and the secondary flow in the mixing chamber of an eductor determines the mix quality. The core flow interacts with the lobe flow providing rapid dynamic shearing and turbulent mixing. The intense vortices distribution in the mixing chamber of the mixer promotes the full potential of the dry powder or granular additives. Adequate mixing, entraining and dynamic shearing are essential in providing a homogenous product. Effective blending and mixing are an essential part in pharmaceutical industries. In these applications the requirement may vary but the ultimate achievement is, generally, to have a homogenous pharma products. 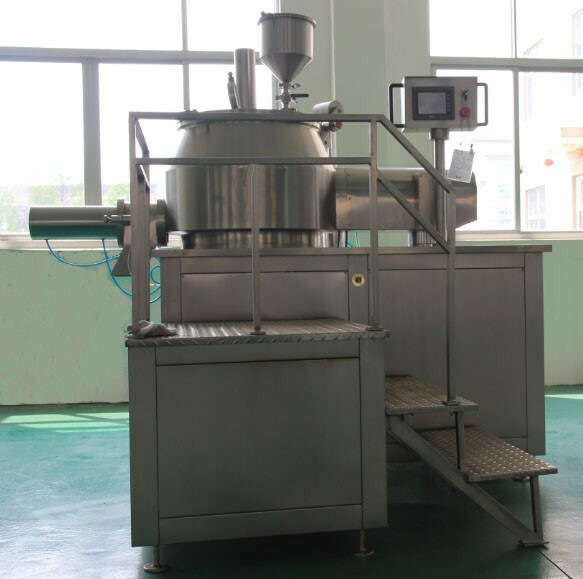 The various type of pharmaceutical mixer are used in performing more than one function with capability such as suspending solids in a liquid, blending, emulsifying liquids, dissolving polymers, powders and granular materials in a liquid environment. The utilization of mixing technology in pharmaceutical industries is critical to a broad spectrum of applications. These applications include preparation of APIs, methods of fermentation and cell culture, downstream processing of biological and pharmaceutical operations including suspension handling, and emulsification. Utilization of mixing theory and evolving experimental methods are required for successful development. Laboratory mixers are ideal for routine laboratory work, research and development, QA analysis and small scale production in all industries. Pharmaceutical Laboratory Mixer is suitable for the widest range of applications - mixing, emulsifying, homogenizing, disintegrating, and dissolving - with efficiency and flexibility unmatched by other machines. It offers excellent reproducibility when scaling up to full scale production and provides an accurate and easy means of forecasting the performance under full scale working conditions. Laboratory mixers are used to mix, emulsify, homogenize, disintegrate and dissolve samples. There are several basic types of products. Dual-shaft mixers use a three-wing or helical anchor to generate flow and remove mixed materials from the vessel wall. Double-planetary mixers use a rectangular or finger-shaped blade to feed material to an orbiting high speed dispenser (HSD). Single-stage rotor/stator devices use a stationary stator to turn an immersed rotor at high speeds. The blades pass each port in the stator and expel material at a high velocity into the surrounding mix. Multi-stage rotor/stator mixers increase shearing to produce smaller particle sizes and more homogenous batches. When two to four rotor/stator pairs are nested concentrically, the mixed material that moves outward from the center of the unit is subjected to a rapid, sequential shearing. Some mixers can be operated at variable speeds. Others are designed for continuous speeds. Selecting laboratory mixers requires an analysis of performance specifications. Speed range and accuracy are usually measured in revolutions per minute (rpm). Viscosity range is measured in cycles per second (cps). Capacity, the size of the mixing vessel, is expressed in either liters (L) or gallons (gal). Operating temperature and operating range are measured in degrees Fahrenheit (F) or degrees Celsius (C). There are two sample introduction methods for laboratory mixers. Continuous devices accept a continuous flow of the sample. By contrast, batch mixers accept only a measured flow or volume. In terms of temperature control, laboratory mixers with an internal heating or cooling elements are commonly available. Heating elements are usually made of ceramic materials, powered electrically, and measured in watts (W). Smooth cooling shovels that rotate within a drum are used to ensure maximum contact without inter-particle friction. 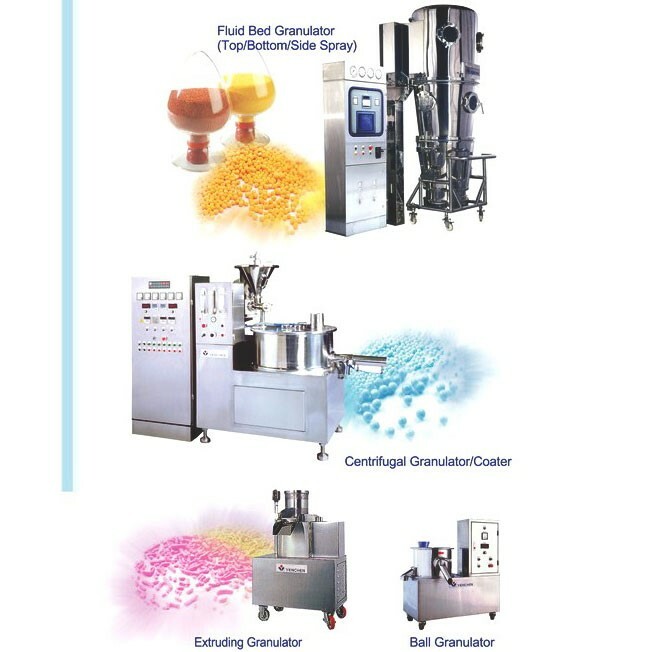 For manufacturing pharmaceutical products, as a process technology mixing will create uniformity, decrease gradients or increase mass transfer of materials in bulk. Defining the process is a key to identifying the type of mixer technology required. The high-speed rotation of the rotor blades within the precision machined mixing workhead exerts a powerful suction, drawing liquid and solid materials upwards from the bottom of the vessel and into the centre of the workhead. Centrifugal force then drives materials towards the periphery of the workhead where they are subjected to a milling action in the precision machined clearance between the ends of the rotor blades and the inner wall of the stator. The materials expelled from the head are projected radially at high speed towards the sides of the mixing vessel. At the same time, fresh material is continually drawn into the workhead maintaining the mixing cycle. The effect of the horizontal (radial) expulsion and suction into the head is to set up a circulation pattern that minimizes aeration caused by the disturbance of the liquid's surface. Application & Process:The Bhagwati compact Bhagwati labcoata- Lab Auto Coater is high efficiency and intelligent automated film & sugar coating advance technology is mainly used in pharmaceutical and food industries. Featuring mechatronis and confirming to the requirement of cGMP. 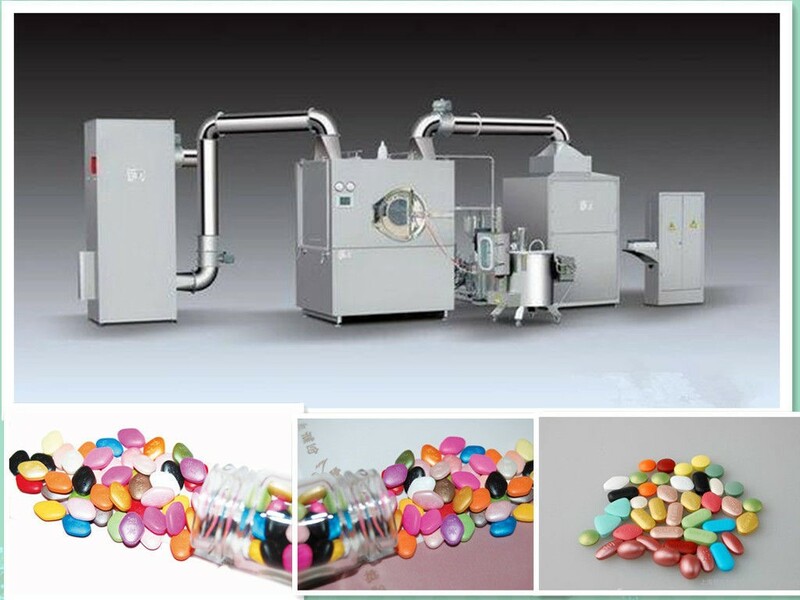 It is a high efficiency, energy saving, safe and clean equipment for film & sugar coating of tablets, Pills and candies with film - organic solvent and aqueous coating. The tablet to be coated make continuous complicated orbital motion the closed rotating Drum under the action of a streamline of Baffles. During the motion coating medium automatically sprays according to the technological process and rational technological parameters, at the same time hot filtered air supplied under a negative pressure. The hot air penetrates through the tablets core layers and is discharged from the bottom of the layers, so that the coating medium sprayed on the surface of the tablet cores will dry rapidly and evenly, thus forming a solid and smooth surface film on tablet. Bhagwati Laboratory Scale Ball Mill is made from all the contact parts in S.S.316 & non contact parts in S.S. 304.The Drum Size: Dia 90 x 90 mm length cylinder type made from S.S.304 Quality. The drum is rotate on two nos. drive shaft and the shaft is rubber coated. The drum is having variable speed through Ac frequency drive for up to 60 RPM. The complete drive unit with motor and gear box is enclosed in structure and it is made from S.S.304Q. The Controls panel provided with ON-OFF push button, Speed regulator, RPM Meter and Process Cycle timer. The Laboratory scale conventional costing machine is ideal for film and sugar coating. The machine is available with 12", 14",16", 18" and 20" size of stainless steel coating pan. The machine is designed with fabricated structure fitted with SS enclosure and drive unit of motor and reduction gear box. Machine has variable speed drive to achieve 5 to 15 RPM by variable speed pulley. The machine is mounted on anti vibration pads which avoids foundation and vibration. A hot air blower system is provided separately on trolley for easy cleaning and setting. The system has thermostat controller to selected temperatures between 40º C to 100º C by electric Heater. The complete systems fitted suitable motor, blower, piping and nozzle for hot air flow. The Bhagwati compact Bhagwati lab-extrude high precise technology is mainly used in pharmaceutical, chemical, Agro chemical and food industries. Featuring mechatronis and confirming to the requirement of cGMP. It is a high efficiency, energy saving, safe and clean equipment for convert mixed dough to fixed diameter extrudes/ needles. The Lab Extruder Equipment has two major parts one is the die screen of required size and other is pressing screw, needles coming out of the extruder are cut into definite length by cutter blade. The size of sieve can very from 0.5 to 5 mm hole size. For conversion into spherical spheres/pellet a Spher'oidizer needs to be used conjunction with the extruder. The Bhagwati compact New lab fbd - Fluid Bed Dryer model Fluid bed technology is a offer an effective and efficient method for drying and agglomerating. 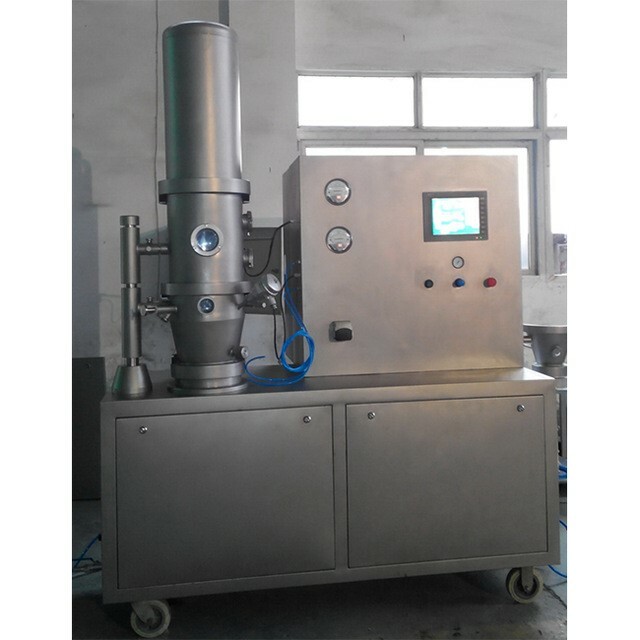 The Lab Fluid Bed Dryer has universal application for drying of powder and granules. The overall concepts of the New lab fbd stream from similar of process based on production model and common needs of consistent processing and ease for operation and cleaning. 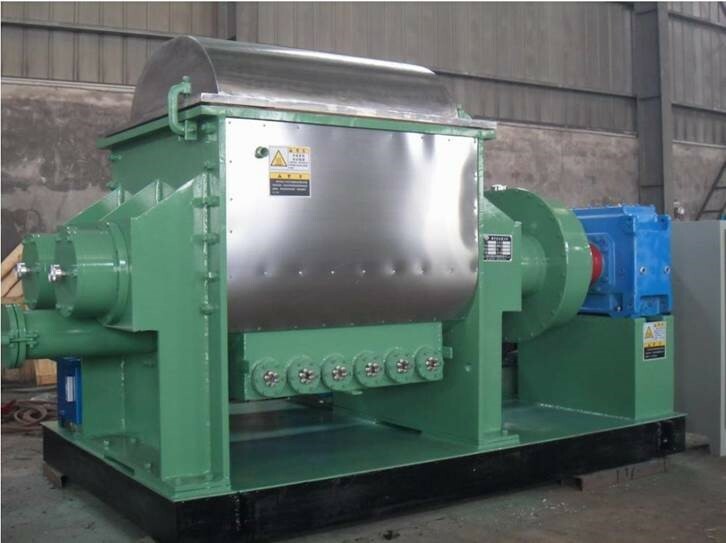 The Drying process: Warm air is blown through a perforated distributor to rapidly and gently dry materials until the required residual moisture content is reached. Moisture evaporated from product is exhausted with drying air. The Bhagwati compact LAB- mix High Shear Mixer Granulator is a multipurpose processor equally suitable for high speed dispersion of dry powder, aqueous or solvent granulations and effervescent products and melts pelletization. Bhagwati New LAB- mix-High Shear Mixer granulator series is characterized by the compact construction, modern design and the entire user and user friendly attributes which form the ergonomics design aspects are essential for a wide range of application. The overall concepts of the New LAB- mix steam from similar of process based on production model and common needs of consistent processing and ease for operation and cleaning. The mixing bowl designed with shallow and wide diameter for guarantee a consistent product vertex mixing by main impeller and granulated by chopper blade. A typical 3 minute dry mix operation than granulation by adding binder manually or spraying unit with pressurized. A free flowing granulate is produced after 3-5 minute and the granules are than rapidly discharge. 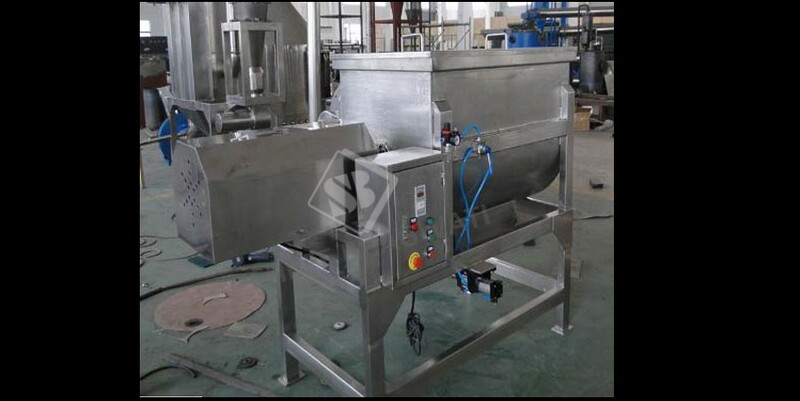 The Laboratory Mixer Is Designed For Uniformly Mixing Of Dry And Wet Material And Especially Suitable For Pharmaceutical, Food And Chemicals Industries. The Mixer Consists Of A Rigid Fabricated Structure Motor, Gear Box, Mixing Drum, Stirrer And Tilting Device. 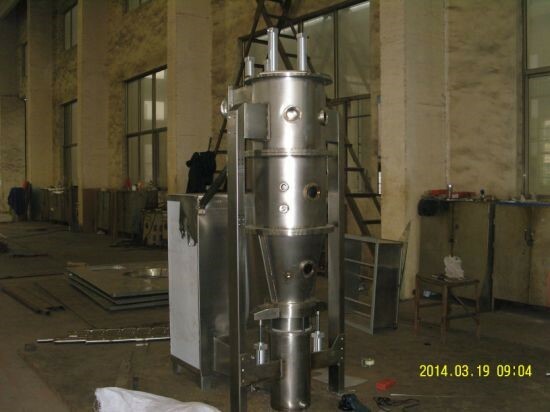 The Mixing Drum Complete With Stainless Steel Body, Stirrer And Tilting Device. 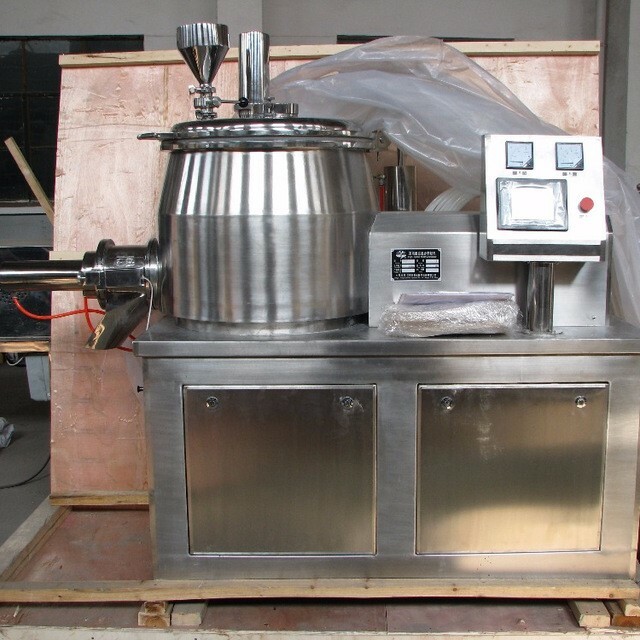 The Mixing Drum Complete With Stainless Steel Body, Stirrer And Sealing Arrangement. The Drive Of Mixing Paddle Is Through Suitable Gear Box And Motor. 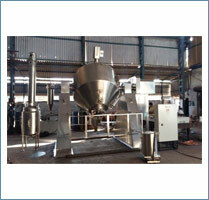 The Tilting Device Is Provided To Make Easy The Unloading Of The Material And Easy Cleaning Of The Mixing Drum. The Mixing Stirrer Can Be Provided Different Shape Ribbon Type / Paddle Type According To Machine. The Material Under Mixing Process Can Be Monitoring Through Acrylic Dust Cover And Its Controls Dusting And Contaminations. The Hinged Features Allow Flexibility Of Adding Solution Through Cover During In Operation. The Acrylic Dust Cover Is So Interlocked That Ensure Container Is Totally Closed. Table top Laboratory Multi Mill is used for wet and dry granulation in pharmacy colleges, R&D institutions and pharmaceutical industry for research and development of pharmaceutical products. It is a self contained portable unit useful for granulating, pulverizing, mixing and size reduction. The Multi mill operates on the principle of variable force swing beaters having both knife and impact edges rotating within a selected screen to get the required size reduction. The material is fed in the hopper, shredded and milled through beaters consisting of knife and impact edges. The rotation speed and direction of beaters could be adjusted through control panel. The material then passes through the cylindrical screen in spiral motion which helps keeping the temperature low and avoids chocking of material during the process. The material is collected in the container placed under the hopper. In multi mill particle size reduction is done through impact in air, on material by blades moving at high speeds, inside a cylindrical hopper. 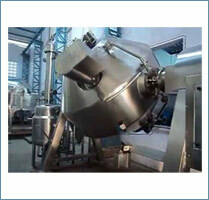 The Bhagwati compact New LAB- BLENDER- Octagonal/ "V' Shape / Double Cone and Bin blender is a multipurpose mixer suitable for effective and uniformed mixing, lubricating and blending process of dry powder and granules homogeneously for facilitating better flow ability of the material for Tabletting and capsules. The basic machine consists of product mixing drum and it's available in different size and shape. A product drum mounted with single ends by hub shafts on directly and it's rotate in shaft axis. The drive is completely closed with SS 304Q machine body. The drive unit consisting of motor, reduction gear box and control panel. The Bhagwati lab-planetary machine is used to mix Liquid to Liquid, Liquid to solid, and solid to solid are in Pharmaceutical Powder, Granules, Ointment, Cream, Galantine, Cosmetics, Food, Confectionary, Chemical and Soaps. It has a homogeneous mixing action and planetary motion (Single or Double Planetary) of the beater enables faster and better mixing of material. The planetary mixer is an intensive mixing, dispersing, kneading and degassing viscous, heat sensitive and above all, cohesive pastes, dough and moist, crumbly masses, such as sealing compounds, adhesives, printing inks, dental plastics, plastisols, condensed soups, battery compounds, cream cracker dough, etc. LABO syrupplant is Lab scale automatic Oral Syrup Manufacturing Plant is ideal tools for the pharmaceutical industry for the Research and Development of Oral Liquids. The sugar crystals and water are added to sugar melting vessel. The steam is supplied and the sugar crystals are melted. Addition of additives manually and it mixes at the set temperature. The melt down sugar is transferred to manufacturing vessel after filtration in cone filter through transfer pump. The steam and heat are supplied in syrup manufacturing vessel and the additives are added manually and mixed at the set temperature. After confirmation of syrup discharge the product is transferred to filter for filtration which is then transferred by transfer pump to storage vessel. Keeping the product in storage tank under agitation for next process for trail and R&D. Capacity of Lab scale syrup plant is 10 Liters. Sugar Melting Vessel - Jacketed, Insulated with mixing stirrer-Top Entry. Cone Filter with Transfer Pump. Filter - Final filtration is done in filter. Transfer pump - It is provide to transfer the syrup / suspension. Lab Sigma Mixer-Z Blade / Kneader Mixer / 'Z"
The Bhagwati compact Bhagwati labmix- Lab Scale Sigma Mixer is used for mixing and kneading for mixing, kneading of highly viscous mass, sticky and dough like products, Mixing of pastes, rubber, and heavy plastic masses, applications in Food, Rubber, Pharmaceutical, Chemical and agro industries, Dry powder to wet phase mixing. This mixer is most suitable for highly viscous material and dough like masses. The Lab sigma kneader is a twin basin kneading machine with two horizontally arranged kneading blades, which are deeply geared into one another and strip themselves reciprocally. Each blade moves the material in opposite direction thereby providing excellent cross mixing of all raw materials. The blades pass the trough walls and each other at close clearances resulting in good mixing. The close clearance produces a shearing and tearing action that is beneficial to the size reduction of solids. Selection of appropriate blade shape and speeds result in excellent mixing. For Mixing, Blending and kneading of high Viscosity Materials, with a combined action of Bulk Movement, Kneading, stretching folding, dividing and Recombining. Available in Capacity from 1 Kg to 5 Kg Industrial Productions. Designed as per cGMP - Current Good Manufacturing Practices & Non GMP STANDARD Model. Contact parts in AISI 316, AISI 304 or MS as desired by customer. There are different types of blades: Sigma-"Z" blade, Spiral blade, and Naben blade. Selection of appropriate blade shape and speeds result in excellent mixing. Option for Hydraulic lifting unloading & spraying system. The laboratory scale Tray Drying Ovens are used for drying of pharmaceutical powders, granules, Pigments, Food, Bakery, Electrodes, Chemical, and Plastic etc in an effective and economical way by hot air re-circulation. Tray dryer is an enclosed insulated chamber in which trays are placed on top of each other. Heat transfer is done by circulation of hot air by electric heaters or any other heating media. Blower fans are installed inside to ensure proper circulation and transfer of heat. The IPC Bin loader is used for transferring and discharging the material dust free and without human touch in pharmaceutical industries for Load powder in to HSMG bowl, hopper of tablet press, Container of blender, Load tablet in to hopper of blister pack & Coating Machine and as well as used for online sifting and milling. The IPC Bin Loader consists of a main frame, Bin fixing arm, Hydraulic lifting device and pivot base. This main frame move 360 degree on axis and Bin fixing arm move upward and downward in the frame by hydraulic cylinder and power pack system. The moveable container/Bin bringing placed beneath the fixing arm, operate the hydraulic drive system which lifts arm with the container and it raises the container till it gets stops exactly in a position, slew the column to swivel the bin over inlet of the next processing equipment, then it could be unload by opening of butterfly on the whatever next processing equipment. The Vacuum transfer system is unique dry material transfer system for dust free and avoid to human touch. 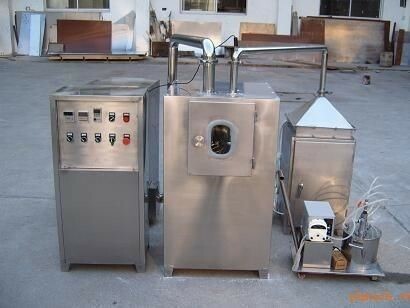 The vacuum transfer system is used in Pharmaceutical, Food, Agro Chemical, Sugar Industries and chemical. The system is use full for inline milling, sifting, blending, loading and unloading. The principle of vacuum transfer has been proven to be a better way to move many types of material and a giant step over manual handling. The technology exists for moving virtually any material that can be pulled through a hose or tube. The system is consisting of Blower, Vacuum receiver system with filter, cyclone filter and Pipe. The vacuum conveying systems designed specifically for the direct charge loading of blenders, mixers, sifter, milling, reactors or any vessel capable of withstanding a vacuum. The vacuum system can be provided mobile type with lifting provision to move one room to another room for loading and loading any machine. The Rota Double Cone Vacuum Dryer is suitable for drying the material which can not operate at low Temperature easily oxidized, poisonous in nature. The Double Cone Rotating Vacuum Drying Equipment is a new drier that integrates mixing and drying in the one body and equips with condenser and vacuum pump. Therefore the vacuum drier is formed. The drier is advanced in design, simple in inner structure, easy for cleaning, to discharge all raw material, convenient in operation and improving work environment. Meanwhile raw material is rotating accompanying with the rotating of container; raw materials cannot be accumulated onto the wall of container, so it has high efficiency heat transfer and high speed drying which save energy. Raw materials are dried uniformly and have good quality at low temperature. It can widely apply to dry raw materials of pharmaceuticals, chemical, Pesticides, foodstuff , dyestuff and so on industries. The equipment is in conformity with the requirements of "GMP". If the solvent does not recover, the condenser may be not used. 1. Material that cannot undertake high temperature. 2. Material that is easy to oxidize. 3. Material that do not permit to destruct. 4. To recover material with residual volatile. The Rota Cone Vacuum Drier consists of a jacketed double conical shell rotating around 6 RPM with under the state of vacuum inside the shell, pass steam or hot water in to jacket for heating. The large heating surface area presented by the internals of the cone ensures uniform drying of the product, as the product gently tumbles while the cone rotates slowly. The vaporized steam can be pumped out through vacuum exhaust pipe when the damp raw material absorbed heat. The diffusive action induced by the tumbling cone constantly presents a fresh layer to come into contact with the indirectly heated walls of the shell, the dry speed of raw material is quickened and uniform drying efficiency is raised too. A well designed sealing system enable maintenance of deep vacuum inside the shell, and also ensures positive circulation of a heating media in the jacket.